On October 23rd, President Obama’s signature climate change program, The Clean Power Plan, was entered into the Federal Register. 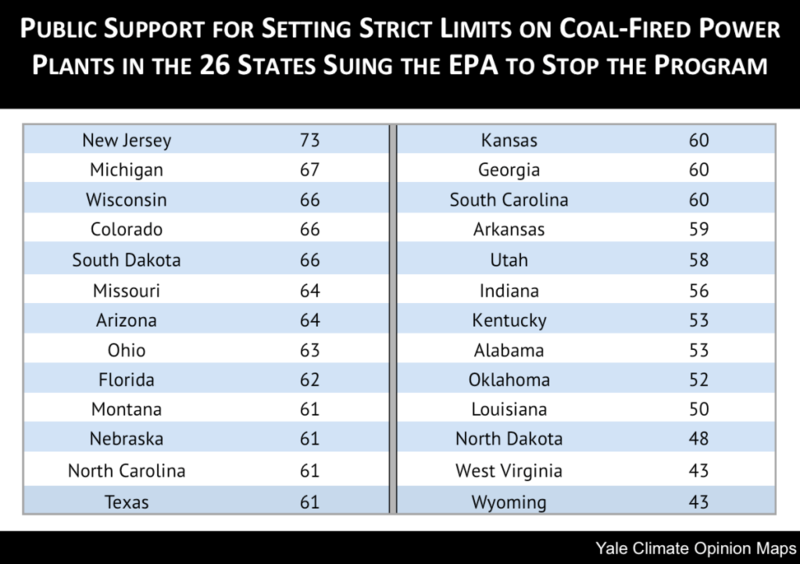 Almost immediately, 26 US states sued to stop the policy, which sets strict limits on coal-fired power plants. 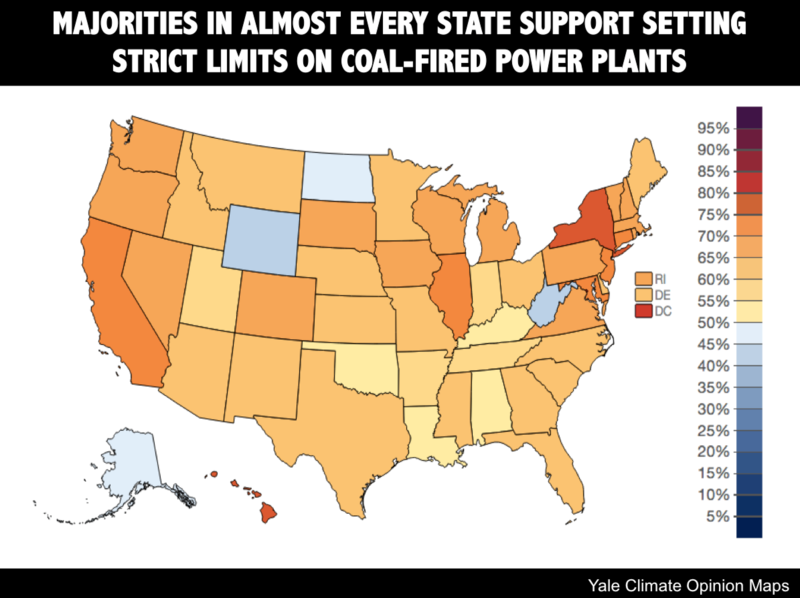 However, according to our model of state-level public opinion (Yale Climate Opinion Maps, 2014), a majority of the public in 23 out of the 26 states filing suits actually support setting strict limits on coal-fired power plants. Across all 26 suing states, 61% of the public supports the policy, ranging from 73% public support in New Jersey to 43% in Wyoming and West Virginia. Across all 26 suing states, only 38% of the public on average opposes the policy. America’s history of controversy over climate change and the legal and political challenges to the Clean Power Plan might suggest that the nation is divided over regulating carbon dioxide from coal-fired power plants. Our research finds the opposite: a large majority of Americans overall support the approach. Our models find that a majority of Americans in almost every state support setting strict emission limits on coal-fired power plants. Visit our interactive Yale Climate Opinion Maps to explore more public opinion around energy and climate policy including: regulating carbon dioxide as a pollutant, requiring utilities to generate at least 20% of their electricity using renewable sources, and other climate change policies and beliefs at the national, state, congressional district, and county levels.